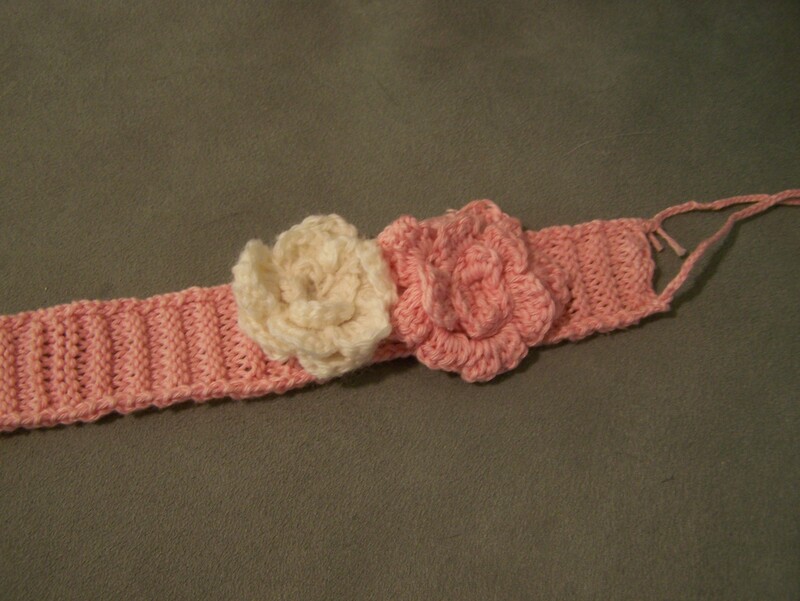 I made this headband to go along with the baby dress I made for a baby. The dress is supposed to fit a 6-12 month baby and given that I have absolutely no idea how big a baby’s head is, I decided to improvise. With some prodding from coworkers and advice about making it able to tie (her baby girl had a big head) I created this. Continue this pattern for about 10 inches. Bind off. Take three pieces of yarn approximately 10 inches in length. Tie them to the corner of headband. Braid until about 5-6 inches long. Each side should have two braided edges. Tie off and weave in ends. 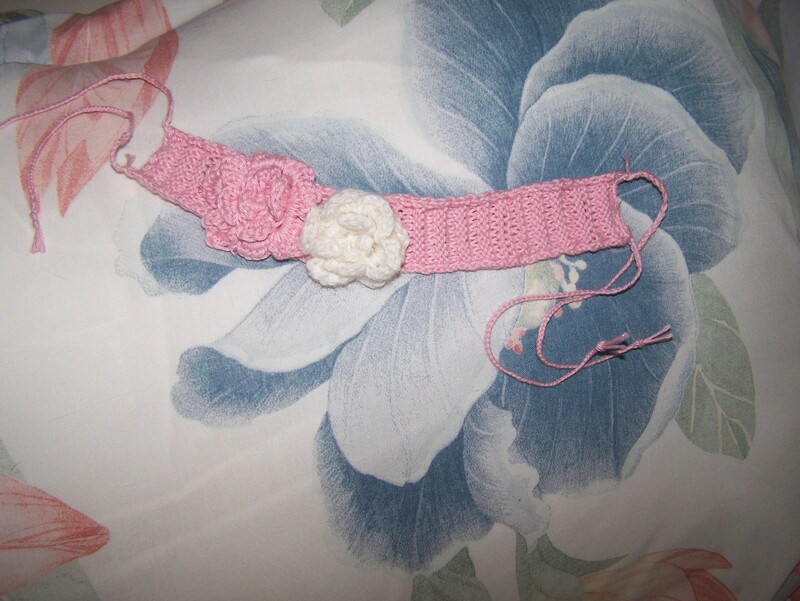 Create crocheted flowers as described in http://crochet-mania.blogspot.com/2009/07/slinky-crochet-flower.html. Sew them to the top of headband. Put on adorable baby girl! Thanks. I try to update it at least once a week but I’m very busy. Knitting is what I love to do and I enjoy sharing that.